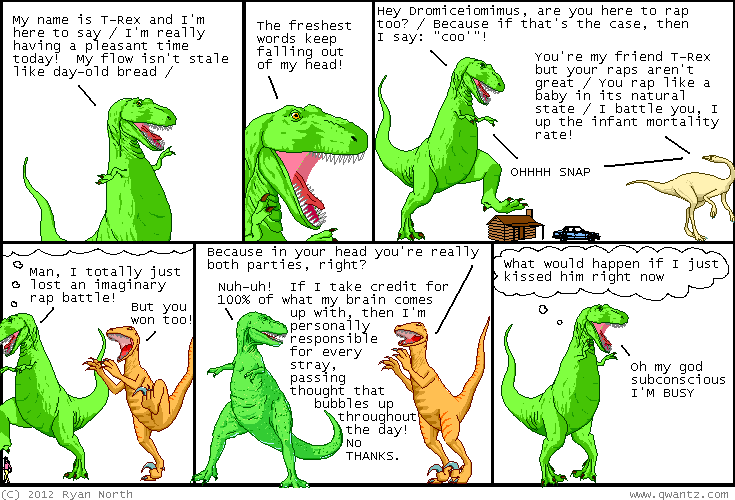 Dinosaur Comics - April 9th, 2012 - awesome fun times! –I'm sure there's not a BILLION of them, T-Rex. Hah!